This is commonly referred to as “responsive web development”. It aims to design websites that can be viewed uniquely and comfortably on any device with any screen size. Essentially, the text and buttons (hyperlinks) on a website should adapt to the device being used to view the site. This is done by simplifying and prioritizing content on the website and changing certain essential elements of the design. Having to scroll left and right or zoom in constantly to read text can turn off customers who do not have the patience to navigate poorly designed websites. As browsing is far more common on smartphones and tablets, investing in this simple yet effective technology can greatly amplify a company’s growth rate. Cloud-based technology can save money that would have been otherwise spent employing an IT department or investing in IT infrastructure. Cloud services are relatively inexpensive, and allow companies to function in a more open, adaptive, and responsive manner. Files and documents can be accessed remotely without the need for a centralized server. This allows employees to work more efficiently as they have better access to data. Departments within the company can communicate with each other effectively as well to boost productivity. VoIP (Voice over Internet Protocol) is a potent means of communication. It provides toll-free voice calling and call forwarding features for customers. You can even have a list of different numbers where you can be reached before a voicemail is suggested. VoIP can be integrated with Cloud services to monitor incoming and outgoing calls as well as data usage. It can even be used as an automated help desk, allowing an organization to project themselves as a progressive technology managed services provider instead of an obsolete business. VoIP is certainly a very important investment for both small scale and large scale businesses in order to maintain open communication channels with customers. While social media holds an important place in advertising, nothing makes more of an impact than a well-framed e-mail. Investing in good e-mail marketing will help you navigate through spam filters and get your point across to potential customers. Access to extensive mailing lists can be bought from mailing list brokers or trade groups. Composing short and relevant e-mails is essential. Subscribers do not want their inboxes to be filled with your e-mails all the time! Spacing out the delivery of these emails and giving customers a reason to open them is of paramount importance—catchy subjects lines go a long way here. From small retail stores to multinational companies, security is crucial. Glitches in the security structure of a company can cause huge losses. With new and more open technology being used, unfamiliar threats in the form of hackers arise every day. Business owners must invest in good online security software and network security staff to keep the company safe from data or budget leaks that could damage the company’s reputation. In case of retail stores or supermarkets, owners should consider investing in 360 degree sweeper cameras that provide constant updates and recognize threats via smart image processing. 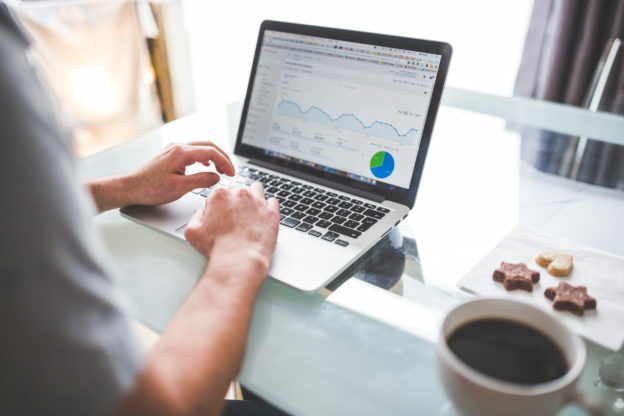 If you own a company that does most of its business online, investing in SEO (Search Engine Optimization) experts can positively influence your business. SEO involves using specific keywords and search algorithms to make it easy to find your websites via search engines. Efficient application of SEO techniques can even push your website to the first or second page of results put on search engines (such as Google) when a particular keyword related to your website is requested. Technology has no doubt changed the way business is conducted. It will continue to evolve and business owners who adapt to these changes will make huge profits. Most of the above listed technological solutions apart from extensive security are not particularly expensive and can be implemented fairly easily. It is tempting to allot funds for technological solutions but it is also important to differentiate out the extravagant ones from the functional ones. Investing in the right IT solutions will go a long way in establishing a well-regarded, customer-oriented business.